Believe in your dreams and they may come true, believe in yourself and they will come true. Our beliefs about ourselves and the world we live in have a huge impact on how we experience our life. At times, life can throw us challenges, be they related to our work, relationships, family or health. Sometimes these challenges lead us to lose sight of our goals and our desires, as we experience feelings such as frustration, hopelessness, and the belief that it is all just too hard. At times like these, young Living’s Believe Oil Blend may assist us. 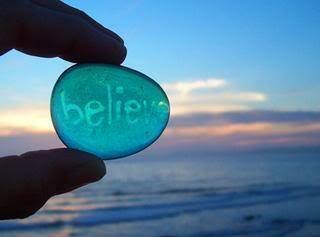 Believe helps to release the unlimited potential we all possess. It assists in calming the spirit and stimulating the mind, allowing us to believe in our own power to create and improve. Believe helps to make it possible to more fully experience health, happiness, and vitality. It is both grounding and empowering, assisting us in creating positive action towards accomplishing our goals and fulfilling our dreams. Believe restores feelings of hope, which allows us to move forward. • Rosewood (Aniba rosaeodora) is high in linalool, which has a relaxing, empowering effect. A very grounding oil. stress and despair. It is used in European medicine to combat depression. massage. Put 2 drops on a wet cloth and put in clothes dryer. Put 4-8 drops on cotton ball and locate on vents. May also be diffused up to 30 minutes daily. Possible skin sensitivity. Some of this information sourced from the Essential Oil Desk Reference Fourth Edition, and Reference Guide for Essential Oils by Connie and Alan Higley. DISCLAIMER: Essentialoilsonline.biz and it’s representatives makes no guarantee of any kind about the safety, performance or effectiveness of any of the techniques, preparations, products or procedures mentioned in this material. 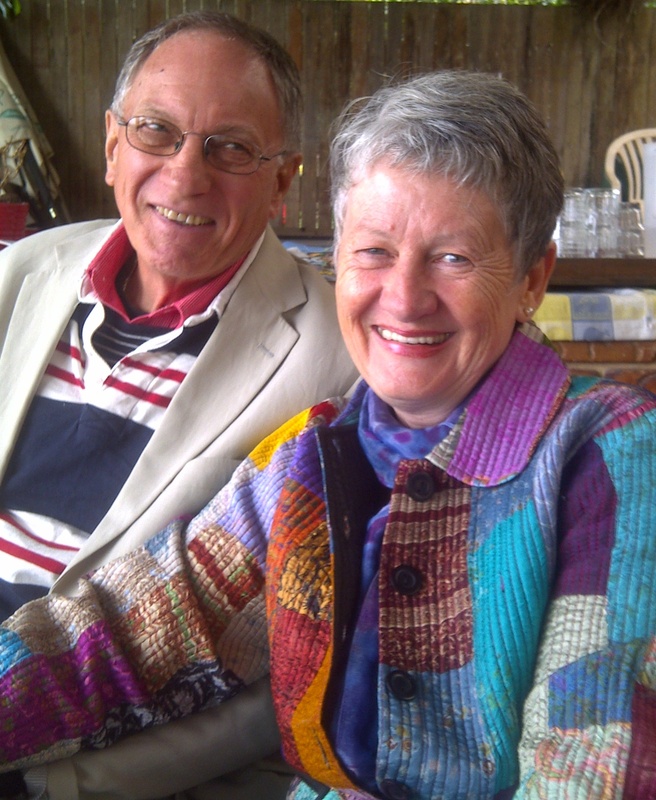 The information in this material reflects Pauline & Robin’s personal experiences, and is not intended nor should be relied on as a substitute for medical diagnosis, advice or treatment. 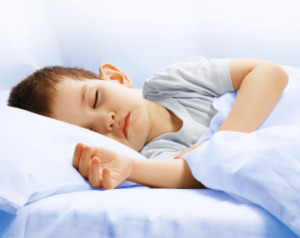 Where essential oils are mentioned, it is recommended that you use pure, unadulterated, therapeutic grade essential oils, and follow the safety directions of the manufacturer. Seek medical advice before applying essential oils, or immediately if you suffer any symptoms following use. Essentialoilsonline.biz will not be held liable for your use of essential oils – you use them at your own risk. Essentialoilsonline.biz is an independent distributor for Young Living (#1143863) and may receive a commission on orders. We love combining our pure therapeutic grade young living oils with our cooking. Here is a recipe from the Young Living Cookbook Volume 2. These scones make a lovely morning treat. Combine flour, agave, lemon peel, baking powder, salt and baking soda in a bowl. Cut in butter until mixture resembles coarse crumbs. Set aside. In a small bowl combine wolfberries, lemon juice, milk and egg. Add to flour mixture and stir until a soft dough forms. On a floured surface gently knead 6 – 8 times. Pat dough into and 20cm circle, cut into 10 wedges. Separate wedges and place on a greased baking tray. Brush with 1 tbspn milk and 1 tbspn agave. Bake at 200° C for 12 – 15 min or until lightly browned. Combine lemon butter ingredients and serve with warm scones. The Young Living Cook Book is available through Young Living USA Not For Retail (NFR) program. What is NFR Program? Lips are the most sensitive part of the human body. We use them to smile, speak, eat, whistle and kiss. Many people seek weekly facials, daily skin scrubs, anti-aging lotions, and many other products to ensure they have healthy, glowing skin. But with all the attention being given to healthy skin, lip care is largely forgotten. Just as our skin requires care and attention, our lips require to be moisturised and nourished on a regular basis. The skin on our lips is 4 to 5 times thinner than that on our face. And whilst the skin on the rest of our body produces oils and has hair to protect it from low humidity and cold dry winds, the lips do not. Our lips are vulnerable to the elements. So what can we do to keep them soft and smooth, particularly during the chilly months? Daily use of one of Young Living’s three lip balms is vital to help lips stay healthy and protected. Young Living’s line of lip balms feature plantbased ingredients combined with Young Living Therapeutic Grade essential oils to indulge the lips and senses. 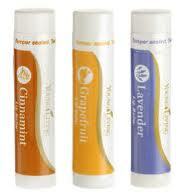 Young Living luscious lip balms will help repair, protect and moisturise. Cinnamint Lip Balm is rich in botanicals that quench dry, parched lips while protecting them from climatic extremes. Lavender Lip Balm retains the calming properties of lavender essential oil, repairing and moisturising dry lips. Grapefruit Lip Balm is a light and refreshing addition to daily lip care, helping to prevent dryness. Young Living’s lip balms offer a natural way to maintain and promote healthy lips. Vitamin E, jojoba oil, and wolfberry seed oil lend a hand in keeping lips soft and moist, while the essential oils offer a nourishing and refreshing effect. Apply liberally to prevent, repair, moisturise, and soothe dry lips. Lips do not contain oil glands, causing them to dry out naturally. Cosmetics and regular lip balms/lipsticks contain chemicals such as petroleum, increasing the frequency of chapped lips. The artificial flavourings used in flavored lip balms can increase lip sensitivities, dryness, or even cause allergies. Jojoba oil is known for its skin-softening properties which can prevent lips from dehydrating. Wolfberry seed oil is renowned for its moisturizing and skin conditioning properties. Rosehip oil is excellent for maintaining the natural moisture balance in skin. Vitamin E is a legendary antioxidant that plays an essential role in the lip balm base. Peppermint essential oil energizes and revitalises skin. Cinnamon essential oil is an excellent antioxidant. Lavender essential oil is soothing and nourishing to skin. Grapefruit essential oil is light and refreshing for tired and dry lips. Research shows* that the level of grapefruit essential oil included in the Grapefruit Lip Balm should pose no photosensitivity issues. To support this research, Young Living performed in-house photosensitivity testing. Some of this information sourced from the Essential Oil Desk Reference 4th edition. DISCLAIMER: This information is intended for educational purposes only and is not intended as medical advice; it is not intended to diagnose, treat, prevent or cure any disease. If you have questions or concerns, please consult a qualified medical practitioner. Luscious Lips by Pauline and Robin Hall is licensed under a Creative Commons Attribution-ShareAlike 3.0 Unported License. 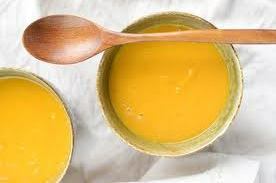 With the rainy weather well and truly arriving this week, what could be more satisfying than a delicious pumpkin soup in the evening to fill the stomach and warm the spirit. This recipe comes from the Young Living Cookbook Volume 1. Cut pumpkin in half lengthwise and remove seeds. Place in a baking dish cut-side up. Place 1 small garlic clove in each pumpkin half. Cover with foil and bake at 180 degrees for about 1 hour. Scoop pumpkin from the skin and add boiling water. Add oils and Blue Agave. Puree. Enjoy. Blue Agave and The Young Living Cook Book are available through Young Living USA Not For Retail (NFR) program. What is NFR Program? Needing a protein boost on the go? Searching for a snack that delivers high quality protein and an antioxidant boost without sacrificing nutrition? 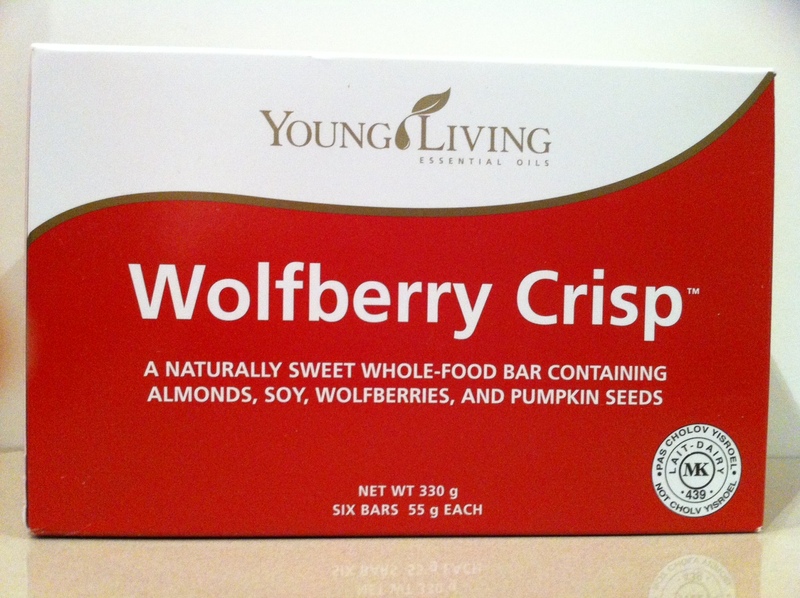 Young Living’s Wolfberry Crisp bar has it all – it’s a fabulous bar that tastes great. With 16 powerful grams of protein flavoured with natural, low glycemic index Agave nectar, when was the last time you had something so good for you that had such a delicious taste! Wolfberry Crisp bars are all-natural and qualified certified dairy kosher as well! Moist and chewy, the Wolfberry Crisp Bar has 16 grams of protein and omega-3s and –6s. Pumpkin seeds are 61% protein and contribute lysine and minerals such as zinc, while the flavourful cashews and walnuts, carob chips, pure vanilla bean extract and natural banana flavouring make this a nutritious bar even kids will devour! Ningxia wolfberries are a tasty fruit that ranks among the highest known antioxidant fruits and vegetables in the world, and provides 21 essential minerals and 18 amino acids plus high quality protein. next time you’re running out the door, late for a meeting, or haven’t quite enough time to prepare a snack, grab a Wolfberry Crisp bar for something delicious and nutritious. I like to keep one in my bag for just such a time. For a nutritious energy snack, eat one bar as desired. Snack on the go … by Pauline and Robin Hall is licensed under a Creative Commons Attribution-ShareAlike 3.0 Unported License. Who is Essential Oils Online?? This is our first BLOG post and our first foray into the exciting world of Social Media. We live in Perth, Western Australia. We love Essential Oils and use them everyday. We look forward to sharing some super experiences and testimonials with you, here on website. To find out more about us, please click on the link at the beginning of this article to open a recent magazine article.